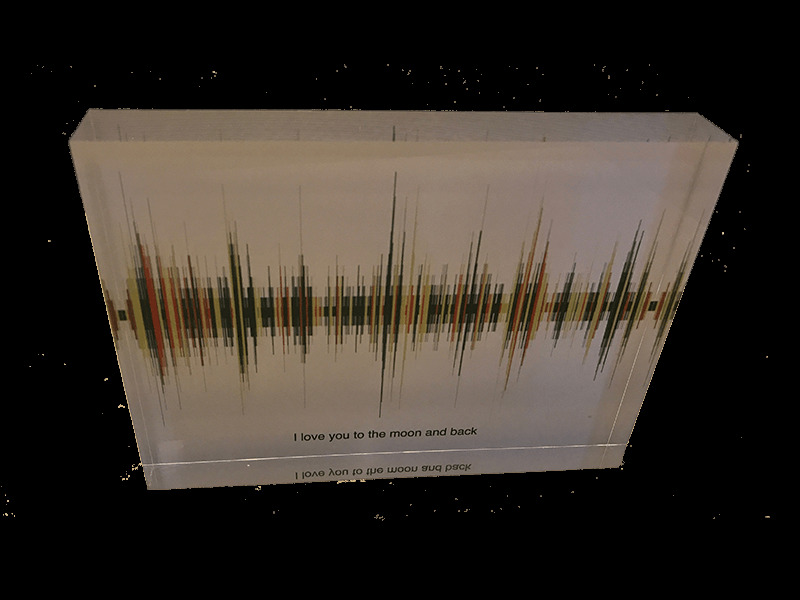 Soundwave Art Acrylic Block | Create Your Own Soundwave Art™ | Soundwave Art™ - Turn your voice or sound into art! Our solid, 1" thick Acrylic Blocks stand on their own. Each edge is polished to a crystal-clear finish. A great option for your loved ones desk or bookshelf. Would like a message printed under your Soundwave?